In this second book of the City Love trilogy by bestselling author Susane Colasanti, three girls share a Manhattan apartment the summer before college begins. Lost in Love captures the essence of summer love, self-discovery, and sisterhood, a perfect fit for fans of Sarah Dessen, Jenny Han, and Jennifer E. Smith. Sadie was convinced that Austin was her soul mate, but after discovering his secret she wonders if she even knows him at all. Darcy was all about fun boy adventures with no strings attached . . . until her ex moves to New York City to win her back. Things are getting serious with Rosanna and her boyfriend, but will she be able to break free of her past and let him in? With no parents, no rules, and an entire city to explore, this is the summer that will change their lives forever. Last summer I picked up City Love by Susane Colasanti, and found it to be a really fun summer read. So of course I was excited to finally start Lost in Love, especially after that pretty massive cliffhanger ending in City Love, and I was dying to know what was going to happen next. The story is again told from our three main characters points of view. I actually really enjoy books that are written this way, as I feel we get SO much more information when it comes from all of the characters involved. I liked being able to see a little bit about each girl, and what was going on in their lives. Things weren't so great for them in this book, unfortunately, but that bond that was beginning to form between Sadie, Rosanna and Darcy in the first book is starting to get even stronger as the story goes along, and I'm enjoying watching the friendship between them grow. 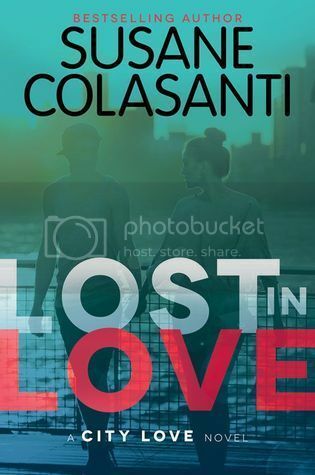 The storyline for the book follows along the same storyline for City Love, so if you've read that book, you will know what to expect from Lost in Love. The story felt a bit darker this time around, as there were so many hearts being broken and so much going on, it felt a bit different than the first book. I'm curious for the third book in the series, however, as I'm super curious to how it will all end for these three friends. Overall; If you like a good summer read, you should definitely check out the City Love series. These books are really fun reads, and, as I mentioned before, I'm super curious to get my hands on the third book in the series to see what's going to happen next!! My June 2016 TBR & Most Anticipated Releases! !